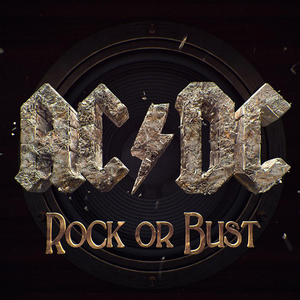 AC/DC is back at it with their newest release, “Rock Or Bust.” This is their first album since 2008’s “Black Ice.” We won’t go into the details of the recent turmoil surrounding the band since it has been well documented over the past few months. AC/DC keeps the same formula going for this album – catchy choruses and meat and potato riffs. Four songs contain “Rock” in the title, which proves they are here to ROCK. Their signature riffs and tongue-in-cheek lyrics will get anybody up and head banging. The main players, lead guitarist Angus Young and vocalist Brain Johnson, are as strong as ever. It is a short album, clocking in at 35 minutes with 11 tracks. There’s not a dull moment. AC/DC provides all of the fire and brimstone that we are used to from them. Despite losing Malcolm Young and the Phil Rudd situation, AC/DC busts out with a whole lot or “rock” for their new album.